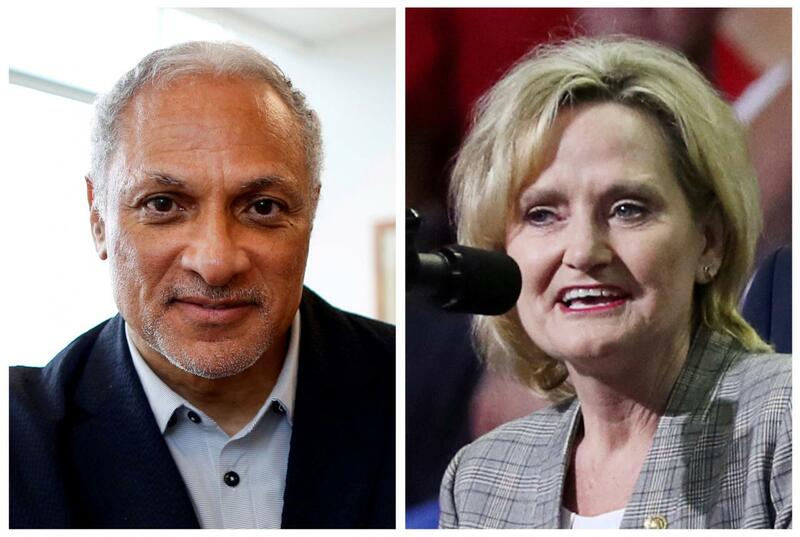 Republican Cindy Hyde-Smith has defeated Democrat Mike Espy in the Mississippi Senate race. This brings the Senate count to 53 (R) — 47 (D). Mississippi, Goddam. The state just elected an openly white supremacist supporter of Donald Trump who unapologetically cracked a lynching joke about her Black and Democratic opponent. No candidate received 50 percent of the vote in Mississippi’s Nov. 6 special Senate election, sending the top two vote-getters to a Nov. 27 runoff. Sen. Cindy Hyde-Smith (R), a former state official, was appointed to this Senate seat after Thad Cochran (R) resigned in the spring. She faces Democrat Mike Espy, who was an agriculture secretary under President Bill Clinton. Republicans have already captured 52 Senate seats in the next Congress. Despite a series of campaign setbacks – she’s faced criticism for a Nov. 11 joke about attending a public hanging – Hyde-Smith is favored to make it 53. She only received 42 percent of the vote on Nov. 6 but was challenged on the right by another Republican, state Sen. Chris McDaniel. The two combined for 58 percent of the vote, compared with 41 percent for Espy. Mississippi hasn't elected a Democratic senator since the 1980s. Sen. Roger Wicker (R) easily won reelection on Nov. 6 in the state’s other Senate race. FILE PHOTOS, REUTERS: U.S. Senate candidate Mike Espy and U.S. Senator Cindy Hyde-Smith (R) are seen in combination file photos, in Jackson, Mississippi. BREAKING: GOP US Sen. Cindy Hyde-Smith wins runoff in Mississippi, keeps seat; race was rocked by her "public hanging" remark. I don't know who will win Mississippi's Senate election. But we do know that 1 in 6 black Mississippians were barred from voting today. (That compares to 1 in 16 people among the rest of the state's population, which is already shockingly high). Projection: Cindy Hyde-Smith (R) has defeated Mike Espy (D) in the #MSSEN runoff. But she's done so w/ an underwhelming margin for an R in MS.
A year ago, Chris McDaniel was plotting to take two Senate seats from GOP establishment in Mississippi. Like others on the hard right, he was railing against McConnell. Then Roy Moore lost in Alabama. Then McConnell delivered for Trump. Wicker, Hyde-Smith, NRSC happy tonight.